GETTING RID OF INVENTORY SALE!!! 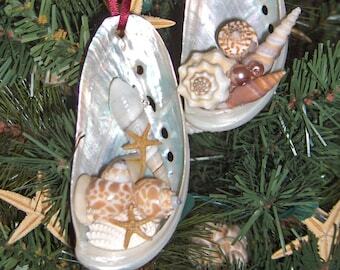 These are Beautiful Large, Authentic Pencil Starfish or Sea Scallop Rhinestone Decor Ornament. 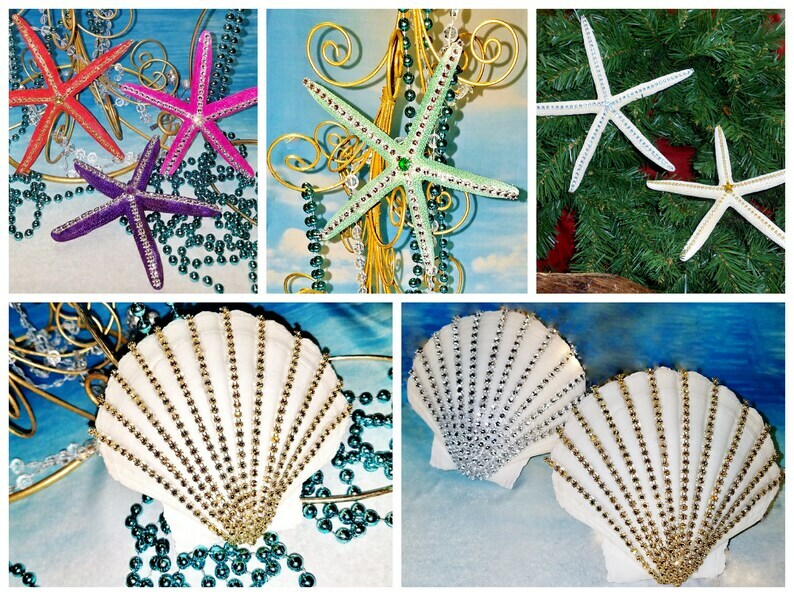 Several Color Starfish or Large White Scallop to choose from hand trimmed with quality Crystal Rhinestones. 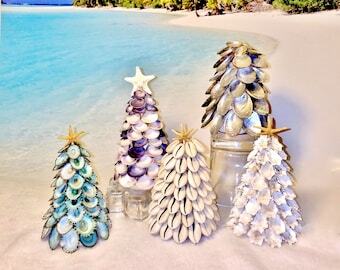 Makes Perfect gift for any beach lover, looks beautiful on packages, Unique Birthstone Gift, Hang them on your tree as ornament or as a tree topper, in front of a window, sit them on a shelf, hang on the wall, or even from the ceiling as a mobile, so many ideas. 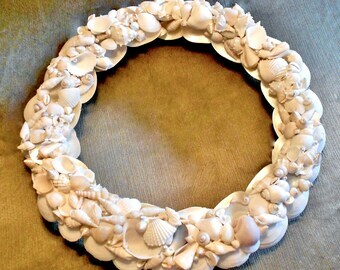 The Rhinestone Scallop is Large at minimum of 5", perfect for Wedding Accessories Needs, Home Decor, just perfect for any space that calls for the Coastal Feel. 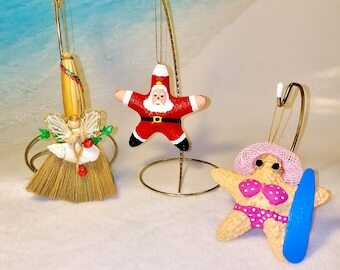 They are perfect for hanging on your Christmas tree. 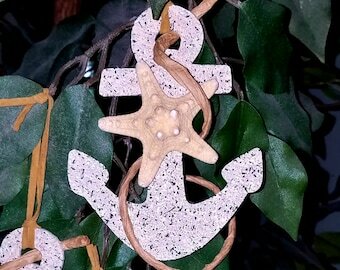 Beautiful addition for Beach Weddings as Favours or Decor, Mother's Day, Birthdays, House Warming Gift and that is just a few ideas. They look gorgeous hung in windows, Curtain Tie Backs or used with window treatments..... too many other ideas, but you decide and make it your own one-of-a-kind natures natural touch. 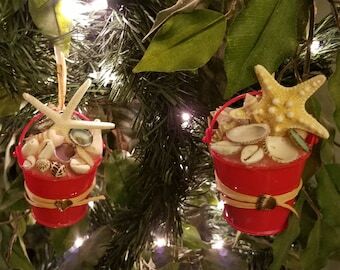 COASTAL Wedding BEACH Decor Christmas Ornament, STARFISH + Seashells filled Sand Pail, Nautical Favours, Favor Gift Kids Beach Pail 4"